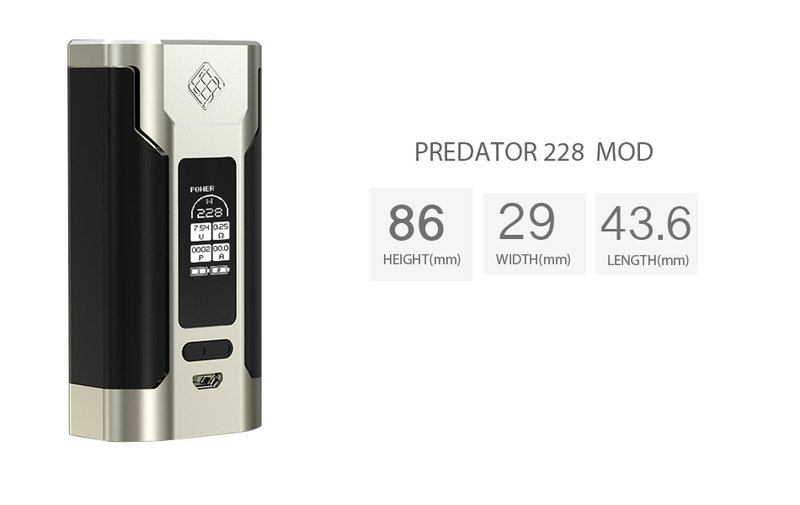 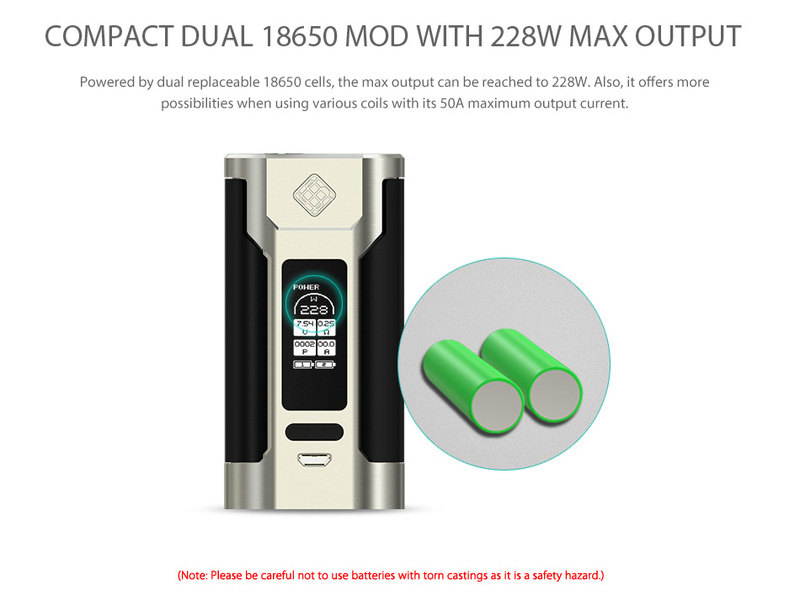 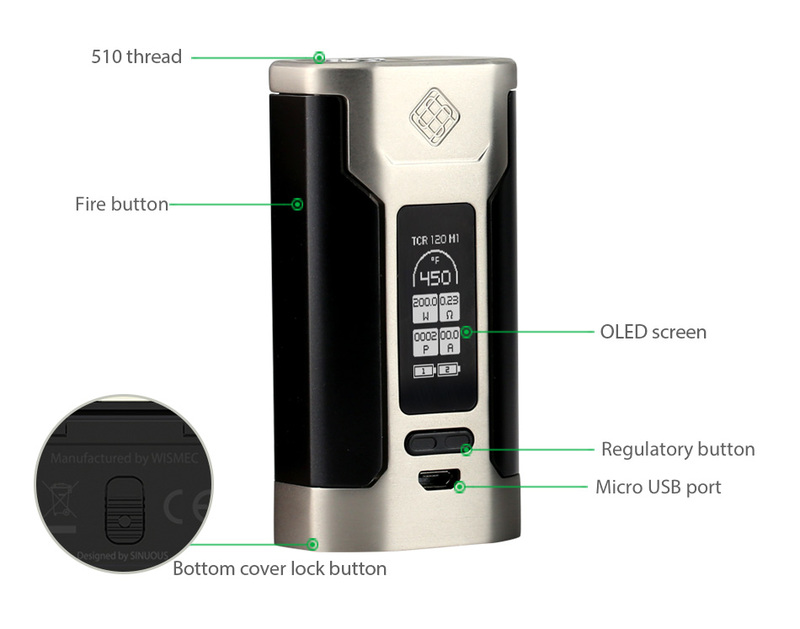 Designed by sinuous designs in USA, the new Predator 228 is powered by dual replaceable 18650 cells that can reach an output of 228W/50A. 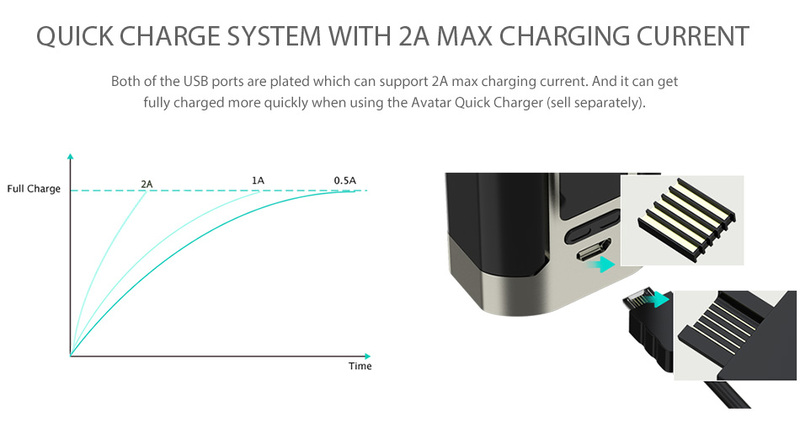 The application of plated USB port contacts make charging quick and easy. 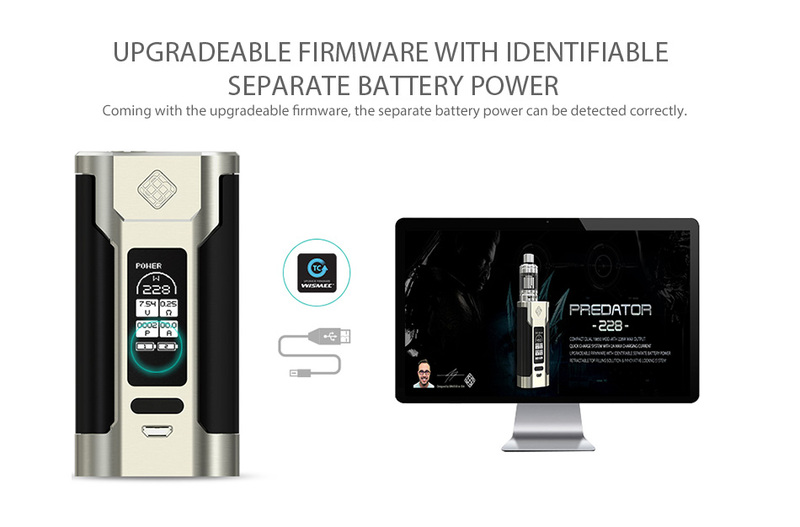 The separate battery power can be detected accurately through the upgradable firmware. 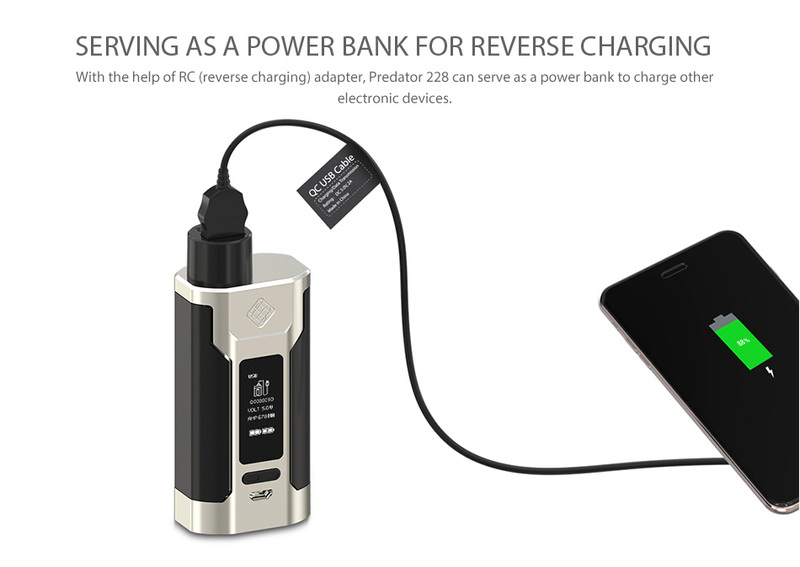 With the help of the RC (reverse charging) adapter, Predator 228 can serve as a power bank to charge other electronic devices too – amazing!